A full length documentary about San Francisco’s famous 10-acre seaside amusement park, Playland at the Beach. Located next to Ocean Beach, it was torn down in 1972 to make way for a condominium development. Gone now for more than 3 decades, it remains one of the city’s lost treasures. Go back in time to see Laffing Sal, the Fun House, the Carousel, the Big Dipper, the Diving Bell, Dark Mystery, Limbo, Fun-tier Town, and much, much more, all through the eyes of the people who were there. Packed full of historical photos and footage, a treat for any amusement park fan. 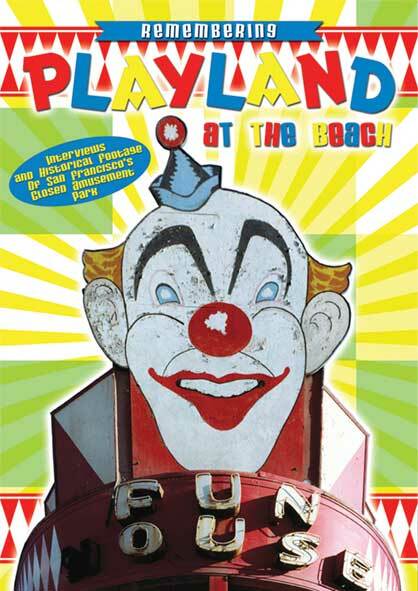 The first and only documentary ever made about Playland.